Manifestation. The word itself seems lofty and unattainable. Yet, there is much to be said for the age old saying “mind over matter” and that starts from within. While there is no way to solidify that we can alter material objects to make them appear, disappear or stay; we can shift our mindset and attitude to help our paths and life situations become more positive, and focused. With that being said, we put together a quick, easy and *amazing* DIY body scrub that you can use once per week in the shower (or bath, your choice). 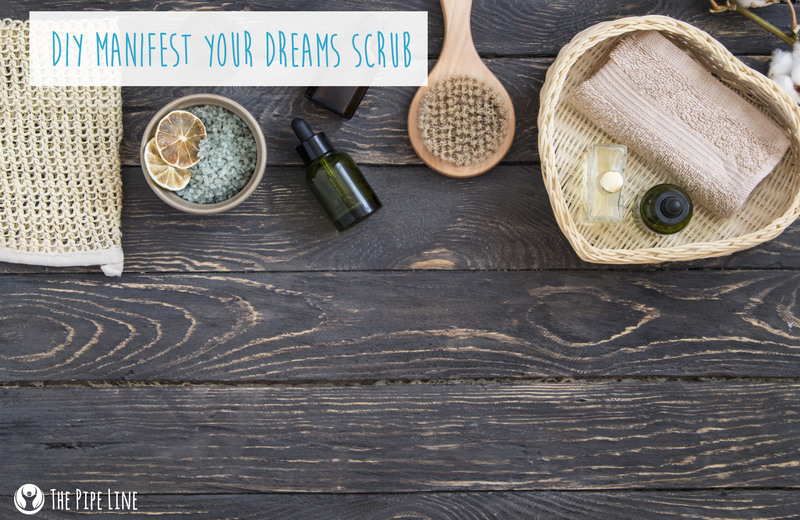 The scrub isn’t some witchy voodoo with the ability to change your life around, but it is made from a blend of essential oils that help promote confidence, instill serenity and open your spirits. So, in our opinions, its best use is during meditation to free your mind of troubles and refocus on what is most important to you! Combine 1 cup of sugar with 15 drops essential oil (5 drops of each) and ¼ cup of sweet almond oil. Mix in chamomile flowers to the scrub as a natural, calming exfoliant + for an additional scent. 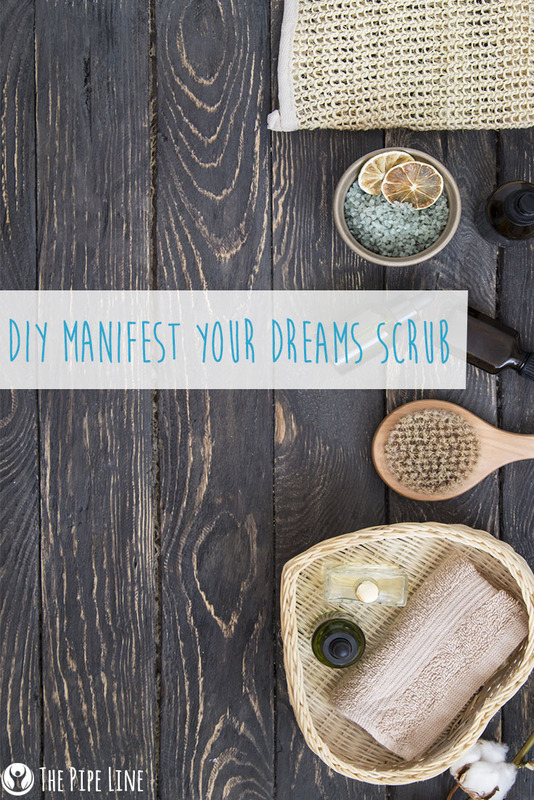 Place all in a mason jar and store in the refrigerator until you whip it out and align your mind with your dreams! Clary Sage: Steam-distilled from the flowers and leaves of the plant, Clary Sage essential oil has a spicy scent that inspires the mind and releases tensions from the spirit. Bergamot: Derived from cold-pressed citrus fruit, this essential oil is known to elevate moods, leading to rejuvenated and soothed spirits. Lemon: Almost a cult classic, the vibrancy of this cold-pressed citrus fruit uplifts the mind-body, promoting a feeling of focus. Let us know how this scrub works for you in the comments below! GIVEAWAY! ENTER FOR A CHANCE TO WIN!